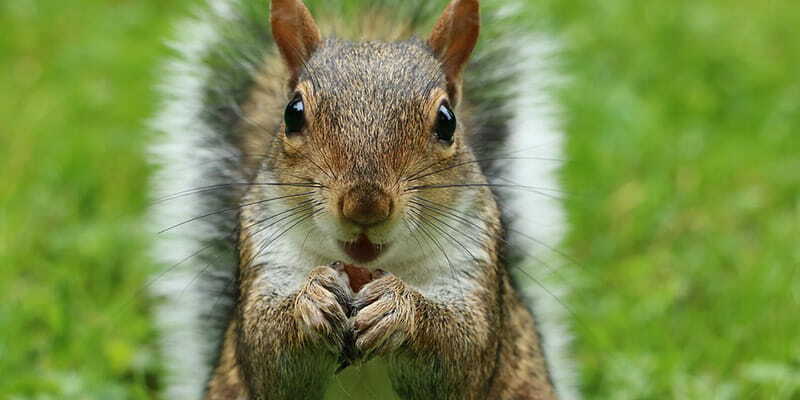 Homeowners in Waterbury, Connecticut often have problems with squirrels in the winter. The animals are looking for warm places to spend the cold months and frequently seek out shelter in attics. Squirrels often cause damage to siding, roofing shingles, and gutters when they chew and claw their way into houses. Once they get inside, they can do even more damage by chewing through possessions stored in attics and leaving waste. If a squirrel has gotten into the attic in your Waterbury home, call the professionals at Anderson Wildlife Control immediately to have it removed. If you put it off, the squirrel can do more damage to the interior of your house, and other squirrels might also get in through the same entry point. We use safe and humane methods to live-trap and remove squirrels. Anderson Wildlife Control never uses poisons or pesticides, so there is no danger to the squirrel. We will live-trap the animal and relocate it to another location a safe distance from your home so it will not come back and cause you further problems. Our methods are humane and environmentally friendly. We offer a written guarantee for our work. Once you have gotten the squirrel out of your house, you need to repair the damage it caused and seal the entry point it used to get in so you don’t run into the same problem again. Anderson Wildlife Control can help with home repairs, too. We can fix your aluminum siding and vinyl soffits, re-hang gutters that the squirrel knocked down, cap your chimney, seal entry points, and do any other necessary carpentry work so you won’t have problems with squirrels again in the future. If a squirrel has gotten into your attic, it won’t be leaving on its own anytime soon. Call Anderson Wildlife Control right away to have the squirrel removed and have any necessary repairs done to prevent further damage to your Waterbury home.